*With special thanks to Mr Gerard Casius, Mr Louis Richardson, Mr Bruno Magras, and to many others for their willingness to share their invaluable knowledge and painstaking research, without which this story could not have been written. 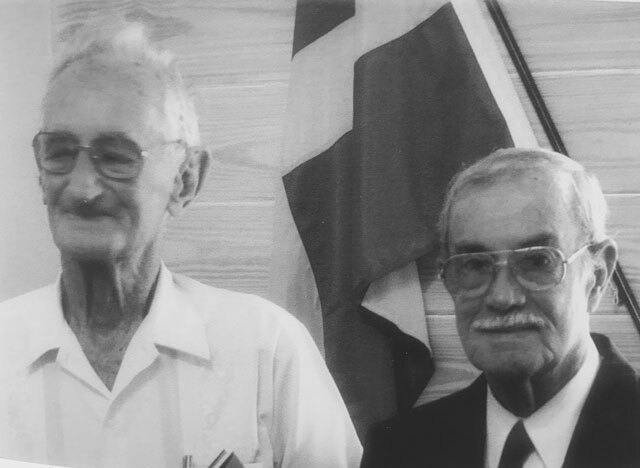 Being a pilot myself, I consider it one of my greatest privileges to have had the opportunity to meet two legendary pioneers, Remy de Haenen and Jose Dormoy (both of whom, sadly, are no longer with us) when I first arrived in the Caribbean in the late 1970’s. Both men, each in his own way, were not only instrumental in helping to establish those vital air links between the islands which many of us today take for granted, but also served as an inspiration to countless others, including myself, who were to follow. And they did so despite knowing full well the ever present risks which they faced on a daily basis. 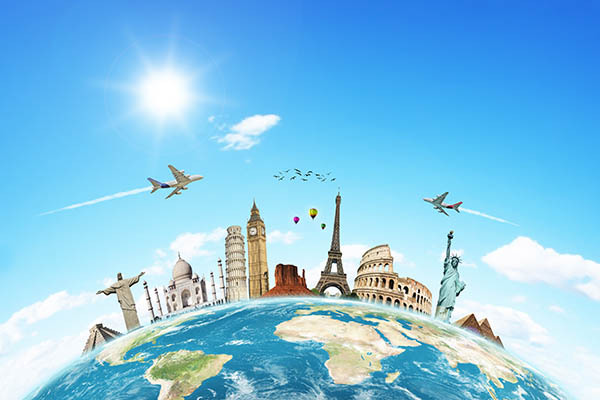 With today’s amazing advancements in modern aviation related technology-especially when it comes to quality control, maintenance, pilot training, and strict regulatory oversight from governmental agencies which simply didn’t exist in those early years-few of us in the Caribbean would even think twice about boarding that flight to St Maarten, Barbados, or San Juan. Or to anywhere else in the world, for that matter. But air travel wasn’t always as reassuring as it is today. Kingfisher aircraft at Juliana airport, ca 1947. Remy de Haenen was born in London of Dutch parents, both of whom lived in northwestern France. After completing his primary schooling in Brittany, he took a job in 1937 as crew member aboard the French luxury liner Lafayette, which is how he first arrived in the West Indies. In 1939, as the dark clouds of World War II were casting their shadows over Europe, he decided to settle on the French island of St Barths and go into the maritime shipping business. After a brief stint in the French navy at the beginning of the war, DeHaenen, always the entrepreneur, returned to St Barths and purchased two cargo vessels, each about 60 feet long. He then used them to smuggle goods to the Vichy-occupied islands of Guadeloupe and Martinique, at a time when German U-boats had driven most merchant ships from the Caribbean, and while the occupied islands were blockaded by the Allies. As the war in Europe progressed, circumventing these blockades became an important industry for many in St Barths. And nobody did it better than Remy DeHaenen. Never afraid to take risks, he decided to literally reach for the sky. He would become a pilot. DeHaenen’s first plane. This rear wing Sportster, nicknamed La Cucaracha, was purchased by DeHaenen in Puerto Rico from a local rum distillery in late 1944. He reportedly paid 2,500 US dollars for it, which included some spare parts from a similar aircraft which had been damaged in an accident. After obtaining his private pilot’s license in Miami and Puerto Rico, DeHaenen began his aviation career in earnest. He would use La Cucaracha to fly to certain destinations in advance of the arrival of his own cargo ships, which allowed him to pre-arrange their clearance, port handling services, manifests, and to personally (and often forcefully) collect payments from his sometimes less than intrepid customers. 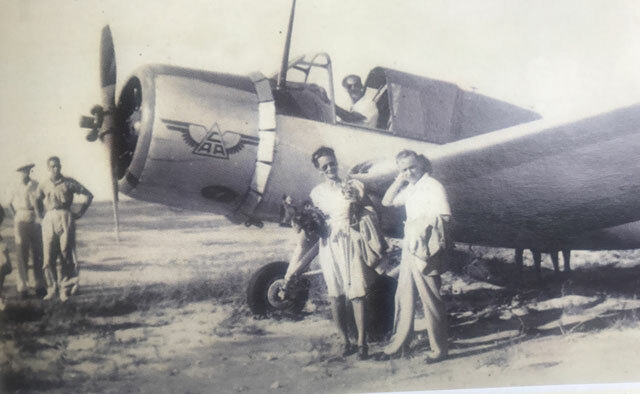 In 1946, after the war had ended and inter island commerce slowly began to resume, DeHaenen purchased a number of vintage aircraft, including a Stinson Trimotor, which had recently been removed from service and consigned to war surplus status. He also founded the region’s first airline, the CompagnieAerienneAntillaise, or CAA, which, in its early days, required the use of a float plane. (Land airports did not then exist in the islands of the French Caribbean). 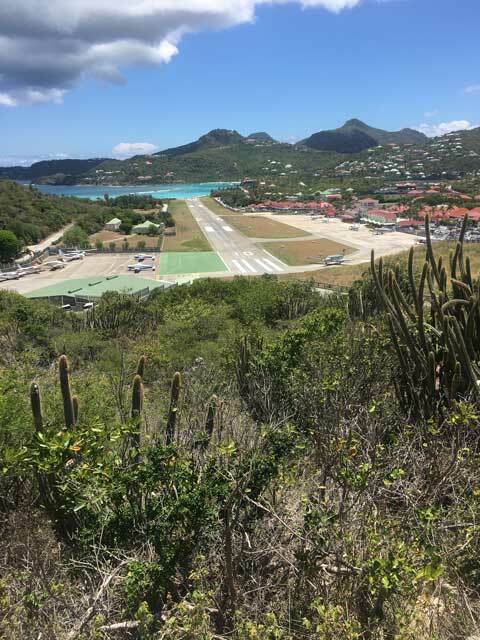 CAA’s base of operations was an isolated island off the east coast of French St Martin called Tintamarre, or Flat Island, where an existing sea cotton plantation was partially cleared to construct a primitive runway. But even keeping the runway serviceable turned out to be an ongoing task in itself. Tintamarre, it was soon discovered to everyone’s dismay, was home to millions of crabs which were continuously digging their holes in the sand, thus undermining the runway. It soon became an unceasing chore for CAA’s workers, who had to go out, sometimes before the break of dawn, to fill in these sinkholes so that aircraft could take off and land safely. But none of these obstacles deterred DeHaenen. 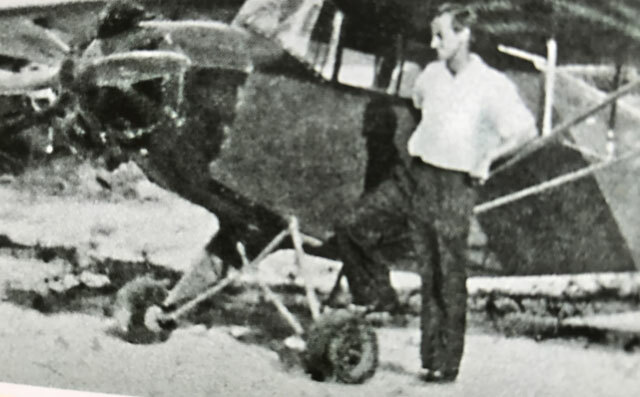 He was the first pilot to land in both St Barths and, in February, 1959, Saba-which, even today, has the world’s shortest commercial runway (approximately 400 yards). 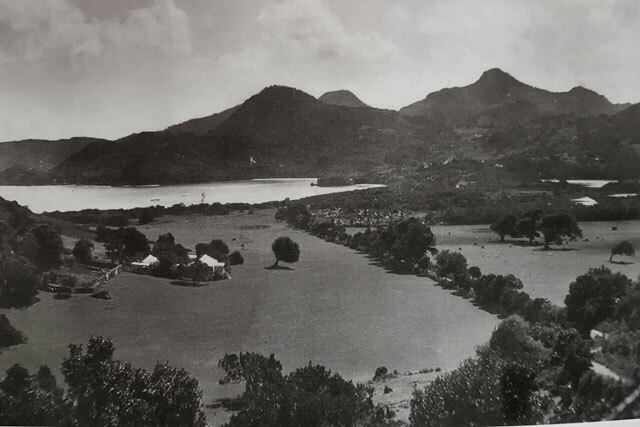 The same area, where St Barths Airport is located today. Along the way, DeHaenen even found time to acquire a hotel, the Eden Rock. His adventures and accomplishments are, alas, just too numerous to include in this article. Later in life, and long after his pioneering airline had ceased to exist, Remy still continued to fly private charters in a single engine Cessna 207. When I first got to know him in St Barths, one of the things I noticed was that he never wore shoes while flying, only open toed sandals. Another of his eccentric habits which I later learned about was that, no matter how distant his destination, he never flew any higher than 1,500 feet. I remember thinking to myself That takes some guts when you’re in a single engine airplane over water! Obviously, it didn’t faze Remy one bit. One morning, several years later-and long after I’d left St Barths and moved to Nevis- DeHaenen and his Cessna 207 arrived unexpectedly at New Castle airport. But even more unexpected was what he told me when I met him on the ramp: I’ve finally decided to stop flying. Would I be interested in buying his Cessna 207? I have to admit that there was a spark of interest on my part. Particularly as I was aware that a Cessna 207 was capable of carrying a substantial volume of cargo. Maybe, I thought to myself, this could be an opportunity for Air St Kitts Nevis to get into the air freight business, in addition to carrying passengers? But that idea came to an abrupt halt when I began to examine the Cessna’s maintenance records. With few exceptions, almost all of the entries, including periodic inspections and even some replacements of engine and fuselage parts, had been signed off by DeHaenen himself. As the Cessna carried a US registration number, I already knew that, under FAA regulations, all such entries were required to be signed off by a licensed mechanic with an A&P (airframe and power plant) certificate issued by the Federal Aviation Administration. To my astonishment, DeHaenen readily admitted that he didn’t possess one. And, furthermore, never had. He went on to explain that he’d always supervised the maintenance of his aircraft himself. In any case, he added, a formal mechanic’s license, for as long as he could remember, had never been required. Or even requested, for that matter. When it came to maintenance and his own survival -along with knowing every nut, bolt, washer, and fitting- he trusted no one except himself to do the job. I understood all too well what he was saying. After all, he’d learned everything from an amazing variety of vintage aircraft, from hulking Stinson Trimotors to Kingfisher float planes, and all with rotary engines. (And, most importantly, he had survived when so many had not). But the real problem, I tried to explain to him, was that no potential buyer-at least one in his right mind-would be interested in a used aircraft without acceptable maintenance records, especially one with an American registration. DeHaenen contemplated this for a moment or two, then rose slowly from his chair. True to form, Remy was never one to mince his words. In the end, he decided to leave the Cessna 207 in Nevis while he took a commercial flight back to St Barths. He would then contemplate what options, if any, were available, and let me know. Meanwhile, at his request, our own FAA-certified mechanics in Nevis would perform a thorough inspection of the aircraft, just in case he found an interested buyer and needed an overall condition report. As it turned out, we didn’t hear from DeHaenen for almost two months. Then, one morning, a van with two men turned up at the airport. They presented a signed and notarized letter from DeHaenen authorizing us to release the plane to them. The Cessna had been sold, they explained. 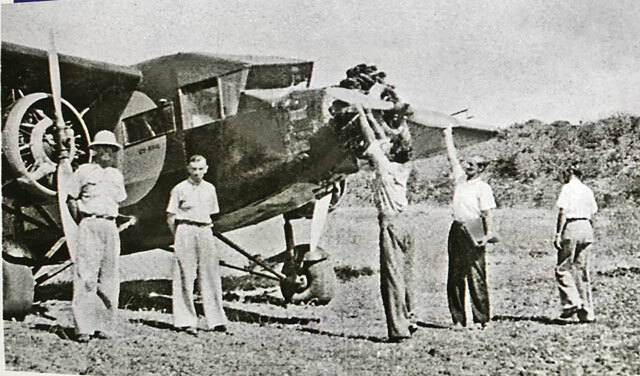 Both men were mechanics who had been sent from Puerto Rico to dismantle the aircraft, including removal of its wings, in preparation for shipping the Cessna by ocean container. As to its final destination, I never did find out. About two years later, I briefly met Remy again after he’d moved from St Barths to Santo Domingo in the Dominican Republic. He looked extremely frail and didn’t talk much, except to tell me that the Cessna had been bought by someone solely for its parts. Except for occasional visits by a domestic house cleaner, he was living completely alone. I found this saddening; as one of the Caribbean’s true aviation pioneers, I thought, he deserved better in the twilight of his life. Always a man of few words, and undoubtedly through his own choice, Remy seemed to have retreated into himself and now seldom kept contact with the outside world. Nor, it appeared, did he wish to. A few months later, I learned the sad news that he had passed away. But he is far from forgotten. St Barths airport was recently renamedAeroport Remy DeHaenen in his honor. A fitting tribute to a man who was determined to challenge what others considered impossible.